After the latest revelations of privacy and data abuse by Facebook, many have felt angry, helpless, or some mixture of both. Big names like Steve Wozniak and Elon Musk left the platform, and #DeleteFacebook trended. But without a new type of platform, deleting Facebook is like getting rid of your gas-guzzling car to reduce carbon emissions, but not having an electric vehicle to replace it. In order to create lasting change, the conversation needs to be about much more than Facebook and their missteps. We need to talk about a new paradigm for social networking altogether. Luckily, a vibrant community of developers are already creating social networks within a new type of technological framework. Users’ data is stored with the user, and not the servers of an intermediary that uses your photos, private messages, and page likes to sell to advertisers and build addictive algorithms. These new decentralized social network applications are already being built, and include photo-sharing applications (like Instagram) and microblogging platforms (like Twitter). 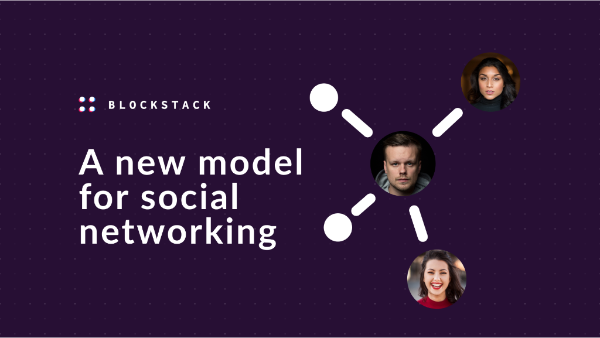 Read more about decentralized social networking possibilities and sign up for Blockstack's mailing list to learn about the latest applications being built to give social networks back to the people.